Faculty of Dental Medicine, University of Belgrade is the leading educational, scientific and technical institution in the field of stomatology in the country. The task of the Faculty is to train students and future dentists, to provide patients the highest quality services and to develop a desire for continuous improvement in them. The task is also to provide further development for the most talented doctors of stomatology and to introduce them to scientific research. The Faculty is developing into a modern, European, higher education institution, recognized for its educational, scientific and technical achievements of its graduates and postgraduates. For that purpose, the faculty collaborates with leading universities and institutes in the world and has been working on the harmonization of curricula in accordance with the Bologna Declaration. Quality of teaching at Faculty is based on the quality of its teaching and support staff and modern infrastructure. The entire teaching staff must continually work on perfecting their own, spreading knowledge and enhancing skills. Each manager is responsible to support this process within their field and appreciate any initiative that leads to an improvement of the teaching process. 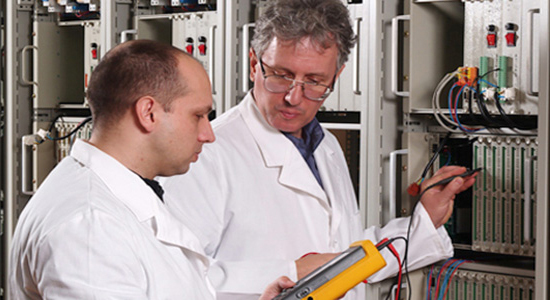 Through teaching, scientific and professional activities and continuing education, all employees should work to maintain and improve the quality of teaching and research process, as well as on application of research results in practice, in order to satisfy the needs and expectations of all interested subjects. All teachers and staff are required to publish the results of their work, thus contributing to strengthening the scientific and professional prestige and better position of the Faculty. In addition, they are obliged to promote the faculty in the media and support health education. 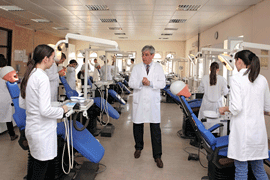 All employees must adhere to the principles of the Code of Ethics of Dental Medicine, which includes compliance with good teaching and good clinical practice, a full commitment to the educational process, discipline and good working relationships.Our efforts are coordinated and harmonized within a documented quality system, harmonized with international standards ISO 9000. Quality management representative is responsible to the Dean and the Faculty Council for application of these standards and the reporting of nonconformance. Department heads, managers and business unit heads of technical services are responsible to provide the understanding, implementation and maintenance of a quality policy at all levels of the Faculty.